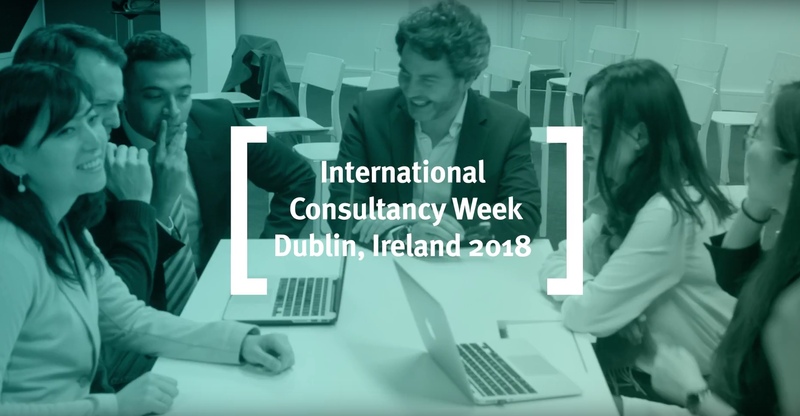 The International Consultancy Week in Dublin provided Full-time MBA students the opportunity to put into practice the theory they had learnt over the year by consulting and working alongside businesses and provide solutions to their organisational challenges. The International Consultancy Week is an opportunity for you to carry out a consultancy assignment with a specific company based in a different country. There will be a range of companies to select from, varying from start-ups to large organisations covering a range of different industries. Previous destinations have included Ireland, Iceland and Poland. The projects typically focus on developing solutions for business development strategies, marketing, HR, finance or operational challenges. Throughout the data collection and analysis stages, you will have the opportunity to test your MBA learning in the real world by applying it to real business problems, as well as reflect on your own skills as a consultant, leader and team player in a new market, complex economic context and culture. You have one week to work with the company face-to-face and then have a further four weeks to provide a full set of recommendations to the company which is assessed. Consultancy trips to emerging markets were offered for the first time in 2003 and have become a significant component of our core curriculum.